The Induction of the Sheldon College 2018 Senior Leaders was held in the Sheldon Event Centre on campus on Friday 23 February. An annual highlight in the College calendar, this year’s ceremony was a very special event for the hundreds of students, families and staff in attendance on the day. The College community warmly welcomed the 2018 Senior Leaders to their new Captain, Prefect and House Leader positions. The Senior Leader announcements were met with much jubilation from the audience. Principal and CEO, Dr Lyn Bishop, in congratulating the students reminded them that leadership is first and foremost about influence and inspiration, and that both these come from the person, not the position. Dr Bishop further reminded them that true leaders don’t need a title, nor do they need to wear a badge to lead. The whole purpose of leadership is to serve, and that true leadership isn’t about what you achieve, but what you give. Rowan Bowyer, Connor Bradfield, Cathal Brennan, Sophie Clucas, Harry Colgan, Thomas D'Arcy, Jake Davies, Tara Finnegan, Katelin Gale, Jamie Hiscock, Shaun Howse, Mitchell Jenkinson, Ellie Lawson, Kelly Leek, Tayla MacNair, Lucy Martin, Will Morris, Sarah Nichols, Logan Redstall, Jasmine Renny, Jackson Scullion, Bailey Smith, Brooke Szych, Gabriela van Wyk. 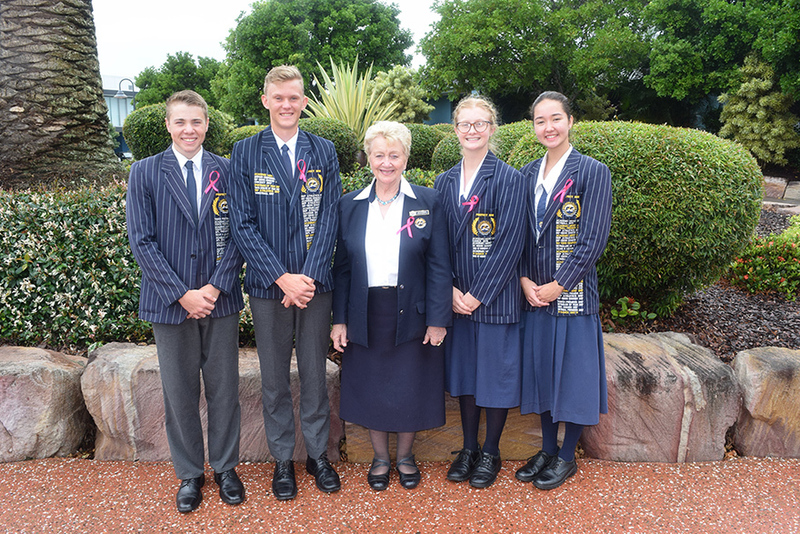 L-R Vice-Captain Logan Redstall, Captain Will Morris, Principal and CEO, Dr Lyn Bishop, Captain Tara Finnegan and Vice-Captain Ellie Lawson. Back: Sarah Nichols, Rowan Bowyer, Cathal Brennan, Shaun Howse, Will Morris, Jackson Scullion, Jake Davies, Bailey Smith, Connor Bradfield. Middle: Mr Matthiew Hogg, Thomas D’Arcy, Lucy Martin, Harry Colgan, Mitchell Jenkinson, Ellie Lawson, Gabriela van Wyk, Tara Finnegan, Miss Lauren Cossettini, Mrs Diane Vandermeer. 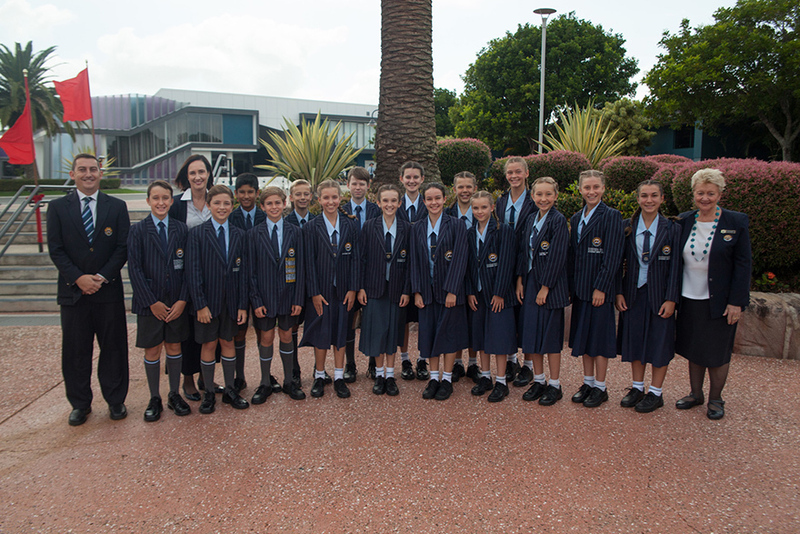 Front: Principal and CEO, Dr Lyn Bishop, Tayla MacNair, Jamie Hiscock, Logan Redstall, Jasmine Renny, Katelin Gale, Brooke Szych, Sophie Clucas, Kelly Leek. House Leaders: Back: Mr Matthiew Hogg, Zoe Moran, Benjamin Chuc, Callum Jones, Cody Sharpe, Mr Scott Jacka. Front: Principal and CEO, Dr Lyn Bishop, Brett Fernandes, Ellen Warner, Rachel Evans, Rachel Howse, Mrs Diane Vandermeer. 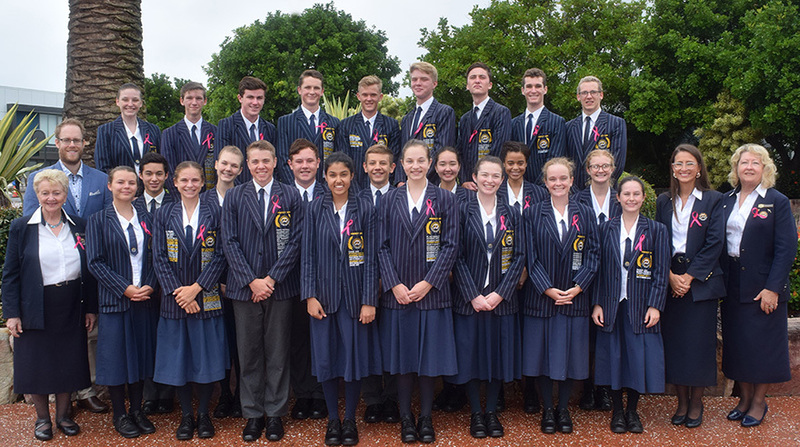 At the assembly held in the Sheldon Event Centre on Friday 2 March, the College Community welcomed seventeen outstanding students to the coveted 2018 Middle College Leadership roles. These young leaders will play a significant role within the College and in the wider community. The selection process was exhaustive as each student completed both a written application and delivered a speech to their peers, followed by students voting for their preferred leaders. 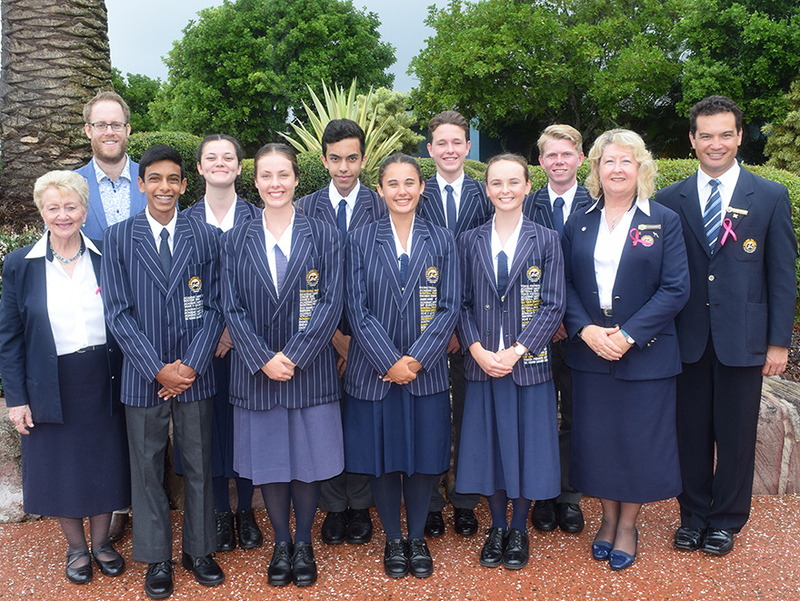 Middle College Leaders for 2018: L-R Mr Neil Sewell, Cooper Jones, Mrs Lisa Slender, Joshua Thompson, Jasdeep Renny, Max Hooper, Samuel Van Aken, Maia Steele-Alston, Hayden Rayner, Sophie Smith, Phoebe Hall, Olivia van Gool, Hannah Jenkinson, Lila Joubert, Georgia Tennant, Charlotte Chamberlain, Clare Monk, Paige Evans, Principal and CEO, Dr Lyn Bishop. Absent: Brandon Keel.